Just come back from a visit to the health visitor where, in typical fashion, Piglet did an enormous wee on the baby weighing scales and I was told off for not taking vitamin supplements, despite the fact that (as I protested to the health visitor) they have been repeatedly shown to be useless. Better just get used to the fact that whatever I do, there is always going to be someone judging my parenting decisions. And speaking of judging, what is one to make of this? Yes apparently, according to that bastion of the British high street, Poundland, these are the two vocations open to babies. Pink-clad jockey, if you are a girl, and superhero, if you are a boy. There are, of course, many problems with this. Firstly, I have seen many pink-clad jockeys during my less productive Saturday afternoons spent channel hopping through Channel 4 racing, and few, if any, were women. Secondly, superheroes clearly don’t exist. However, these points are unimportant (although more female jockeys please. Given that women are generally smaller than men, is it not odd that horse-racing is mostly the domain of really tiny men?) Bearing in mind the fact that encouraging a girl to ride a horse is significantly less bad than encouraging her to be a princess, I now give you that other bastion of the British high street, Wilkinson’s (I know, I know, but when I say “British high street” I more specifically mean Wembley High Road, where the most upmarket establishment is a shop called Bland’s that sells a curious mixture of cheap-looking prams and cots that actually aren’t that cheap, ladies’ underwear and hideous meringue ballgowns. Because what everyone in Wembley needs is a hideous meringue ballgown to wear down the pub of a Friday night). So this is a snapshot of the girls’ toys section in Wilkinson’s. Now it goes without saying that the idea that there needs to be separate sections for boys’ and girls’ toys is itself abhorrent, but let’s ignore this for a moment so we can look in more detail at what Wilko deem to be acceptable toys for young impressionable girls. So let’s see: we have a Barbie in a pink dress, a pink tutu outfit, a pink KITCHEN and a-yes, it really is-a PINK BABY CARRIER. The boys’ section is not shown here as I was too boiling with rage to linger in the aisles, but suffice to say it included police officer and fire brigade hats. Yes ladies, the message here is clear. Boys do the real jobs, like fighting fires and catching criminals, while the girls stay in the kitchen looking after the children. The most ridiculous thing is that not only have things not moved on since I was a wee lass flicking through the toy pages of the Peter Craig catalogue lusting after a pink Barbie house and an A La Carte Kitchen, but they have got worse. At least the A La Carte Kitchen wasn’t pink! And there were gender neutral toys available, such as the legendary Teddy Ruxpin. Now admittedly I wasn’t allowed any of the three toys mentioned above as they were all too expensive, but I do have photographic proof that for my second birthday, some progressive soul gifted me with a toy carpet sweeper. Because, like, being a girl and all, all I could aspire to was a piece of already-obsolete equipment for cleaning a house, but AT LEAST IT WASN’T PINK! End this madness now please! 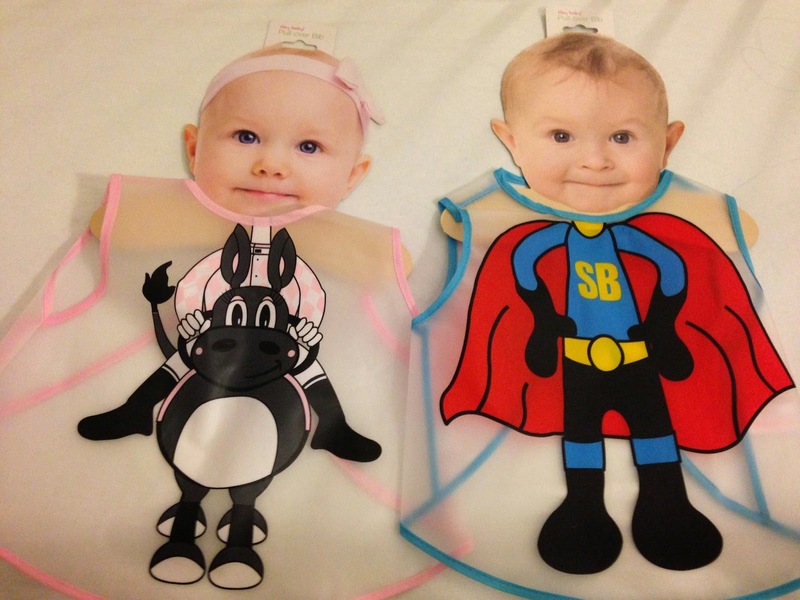 For my part, I purchased both the bibs in the first picture, as at least then Piglet will know it’s OK to be a boy who likes pink, right? Next Post THANKS AGAIN TFL. It seems at Halloween girls have two options witch or cat and boys have a hundred. You’d think with films like twilight saga you might get a female vampire or werewolf. Let’s bring our kids up to be whoever and whatever they want to be. TOTALLY AGREE. I know a lot has been written about this topic before, but it frightens me how in this day and age there is still so much stereotyping when it comes to toys and clothes. I’m glad to hear of such a successful female jockey! I’m sure I’ve got some pink frilly dresses at the back of the wardrobe though, to my shame. It’s a difficult one. 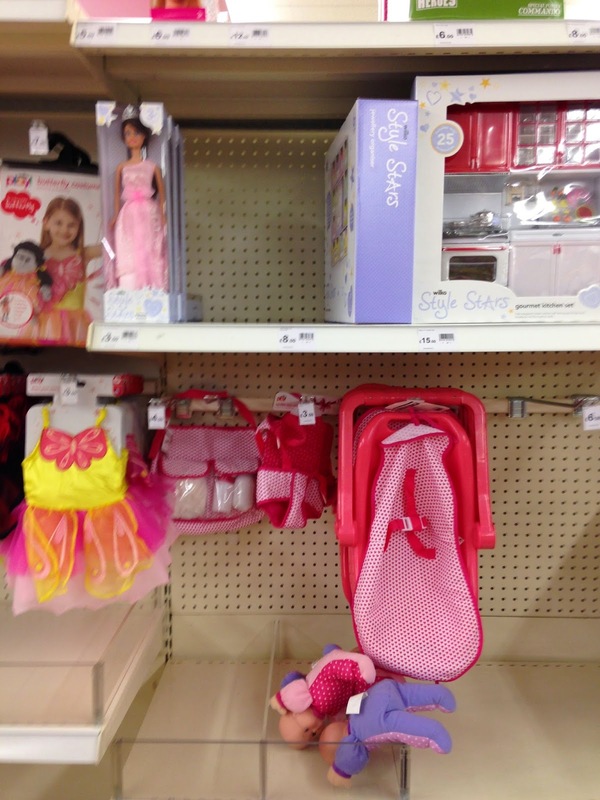 It can’t be genetic exactly as the choice of pink as the “girls'” colour, for example, must be a social construct. However, I did read an interesting book on this a while back and it seemed to suggest that there are certain general things that are more of interest to boys and girls due to them developing at (very) slightly different rates and having (very) slightly different levels of skill in certain things. For example, girls’ verbal abilities seem to develop more quickly and boys may have slightly better spatial awareness. The thinking was that boys and girls then gravitate towards things that further develop these skills (e.g. possibly diggers etc for boys) and so the differences between them go from being very tiny to becoming more pronounced. Then they are exaggerated further by society. One thing the book also said was that parents have very little influence over it, which is a relief in a way! Thanks for commenting. It’s the assumption about jobs that annoys me the most. My son has a set of three cars for each of the emergency services that he was given, and every single one of them sings(!) with a male voice.